Literally this word translates to ‘ice bear’ and that’s why you might hear a Dutch person use this word mistakenly. The word ‘ijs’ is also used for ‘ice cream’. An ice lolly (popsicle), or a single cone of ice cream, is called an ‘ijsje’ (diminutive). 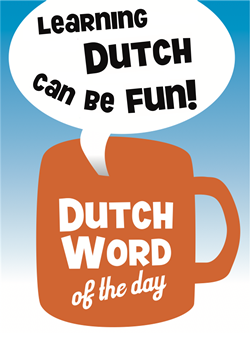 It is common in the Dutch language to create a verb from a noun by adding ‘en’. In this case, the verb is ‘ijsberen’. ‘Ijsberen’ is the activity of pacing up and down the room, aimlessly and lost in thought. This verb is derived from the behaviour of polar bears in captivity. 1. "De professor ijsbeerde door de kamer." 2. "Ik hou van walnootijs." 3. <At McDonald’s> "Een sundae-ijsje alstublieft!" Seeing polar bears in captivity always makes me sad. If you ever want to see a real live polar bear (NO: isbjørn) in the wild, you can book a holiday(?) with one of the may tour operators on Spitsbergen. Spitsbergen, or Svalbard as it is also known as, is a Norwegian island way north of the polar circle with lots of wild polar bears. And don’t worry, the guides are always armed. Initially I spelled the title “Ijsbeer” with only the “I” capitalized. However, after some discussion with Marc and other readers, I reluctantly changed it into IJ.